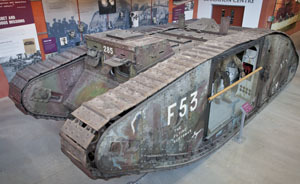 The Tank Museum’s Mark II – the oldest surviving tank in the world to have seen combat. The Mark II tank on display at the Tank Museum is the oldest tank in the collection, and possibly the world, that is known to have seen combat. This occurred 100 years ago in April 1917 at Arras. Fosters of Lincoln built the 25 Male Mark IIs, including our tank, Number 785. There were also 25 Females. Mark IIs were intended only for training, so they were built from boiler plate steel that wouldn’t stop bullets and shrapnel, rather than armour plate that would. 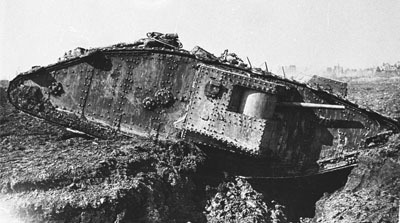 In early 1917, British tank officers had a problem. 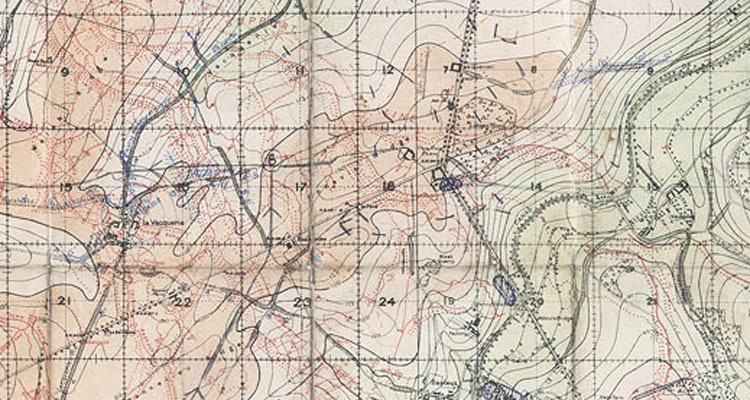 Plans for the upcoming Battle of Arras required 60 or more tanks, but only 15 were available. Their desperate solution was to press 45 Mark IIs into combat, including 785. It was assigned to III Section in 10 Company of D Battalion, numbered D5 and named Dahlia. On the 9th April 785 went into action, commanded by Lieutenant Noel Humphreys. The only one of III Section’s four tanks not to be put out of action, 785 and its crew did ‘good work’ at Telegraph Hill and Neuville Vitasse, despite Humphreys being wounded early on. Assuming 785 continued as tank D5, it was next earmarked for combat on the 23rd under the command of Second Lieutenant Dawes. Unfortunately its right drive train broke, so it wasn’t able to join the battle. 785 was then reassigned to 12 Company and renumbered D48. 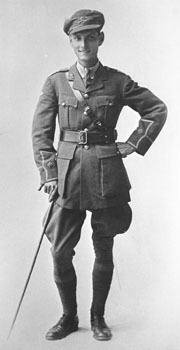 On the 3rd May it went into action at Bullecourt commanded by Second Lieutenant Herbert Chick. 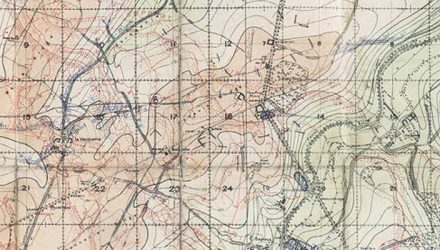 Although 785 reached the German trenches, broke through the wire and knocked out several machine gun emplacements the accompanying infantry were unable to advance. With five of his crew wounded, Chick had to withdraw. Shortly after Arras new Mark IVs began entering service and some Mark IIs were converted into Supply Tanks. Evidence of this conversion work is visible on 785, most prominently the hatch on the cab roof. Its current numbering, F53 ‘The Flying Scotsman’ was discovered under later paint layers and is believed to date from this period. 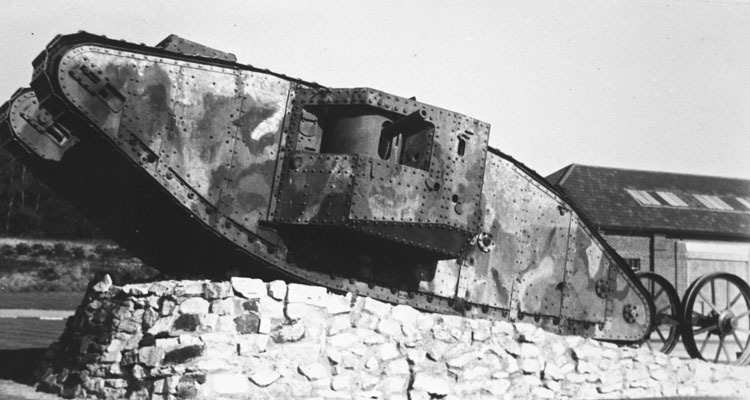 We know F53 was a 6th Battalion Supply Tank at the Battle of Cambrai – it could have been 785. Although the details are unclear, 785 was returned to the UK after the war and somehow saved from scrap. In 1949 it was donated to the Tank Museum where it was displayed as a Mark I until a real one was acquired in 1970. After 785 was moved indoors its Male sponson was removed and it now carries the only surviving early style Female sponson. 785 is recorded as being a supply tank with F Battalion on 13 July 1917, so it would have been in that configuration for Third Ypres, but I don’t believe it was a Supply Tank at Cambrai in November/December 1917. Certainly I have no evidence it was still with F Battalion then.